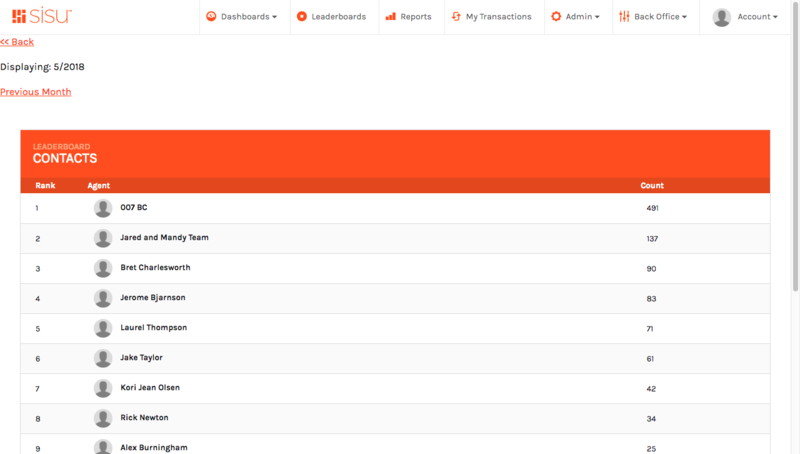 Sisu Team let's you see who's the leader for all your different key performance metrics. 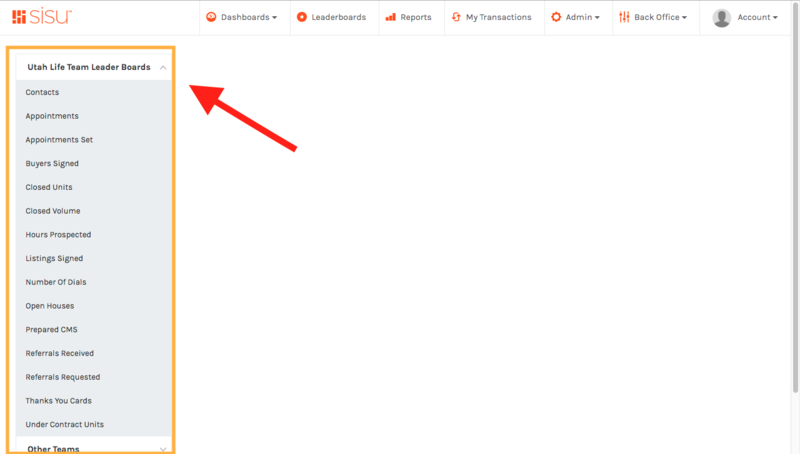 To access your leaderboards, just login at the upper right corner of sisu.co. Once you're inside, click on "leaderboards" on the top menu. You'll notice on the left side that there are a handful of leaderboards for you to choose from. Select one, and you'll pull up this months leaderboards for that area. You can select different months by clicking on "previous month" to move back a month of "next month" to move forward.